Don’t let today’s small pain become tomorrow’s BIG pain! You’re eating a bowl of ice cream and, all of a sudden, you feel a shooting pain in one of your teeth. Ouch! Or maybe you’re experiencing a sharp, throbbing pain that just won’t go away. This could signal dental decay in one of your teeth or maybe even an exposed tooth root. So, what do you do in these types of situations? Unless you love pain, call our office to make an appointment — ASAP! Pain is always a symptom you can’t ignore; it’s a signal that something is wrong! Taking a pain reliever might take the pain away, but it does nothing to address the underlying cause of your dental pain! 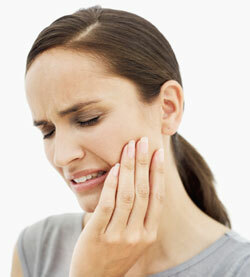 Keep in mind that it is extremely important for you to resolve any type of dental pain immediately. Waiting may only worsen the condition, causing even more pain and damage, and ultimately costing you a whole lot more time and money! Don’t let today’s little pain become a much bigger pain tomorrow! Call us and let the doctor treat that pain right away!